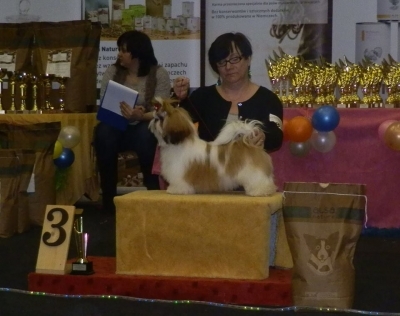 HAKER Ad Acte 20.12.2014.- champion class : excellent 1, CAC, New Champion of Lithuania!!! 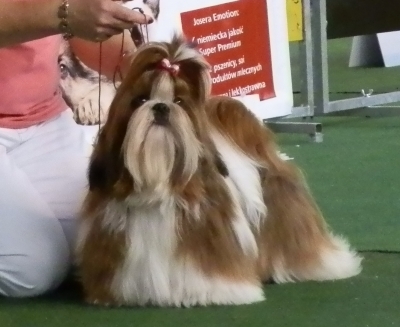 REGENT Ad Acte was excellent 1, CAC and BOS. 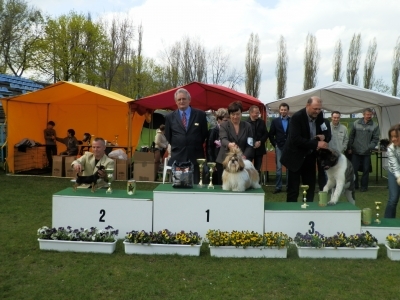 We've had a wonderful time at Euro Dog Show in Brno. 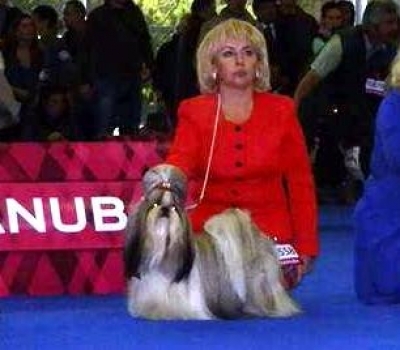 European Junior Winner and Best of Breed !!! 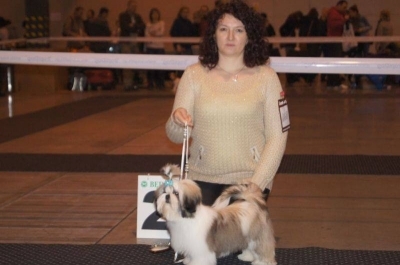 That's the 3rd European Junior Winner title in our kennel. 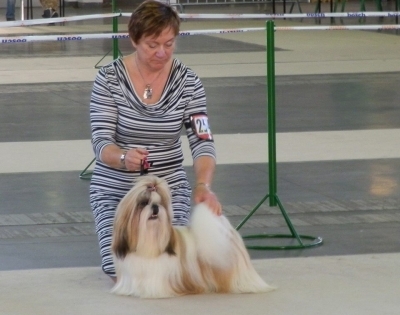 REGENT Ad Acte in intermediate class was 2, Res.CAC. 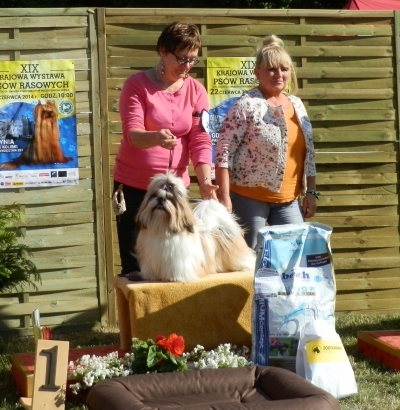 We're most pleased with performance of all our dogs on this Show - congratulations to their owners. 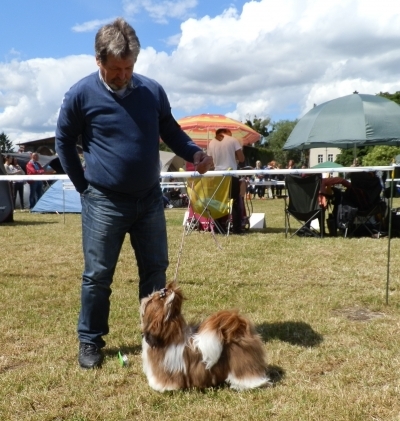 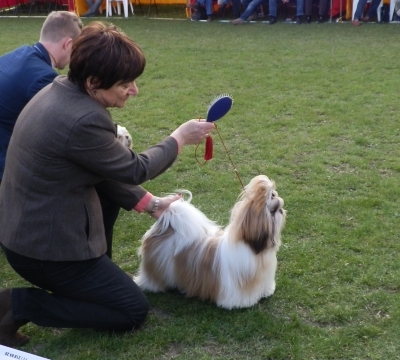 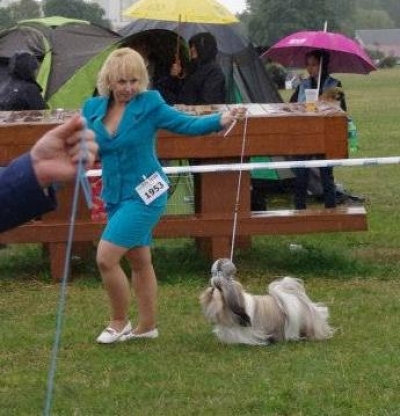 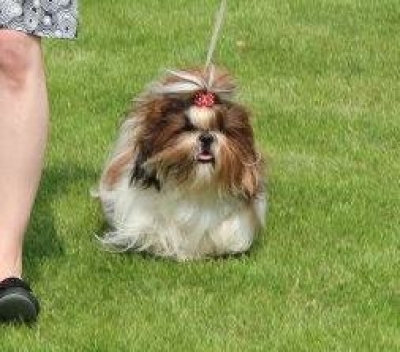 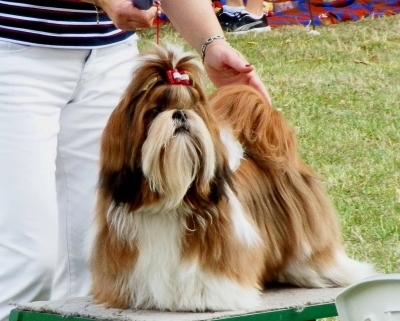 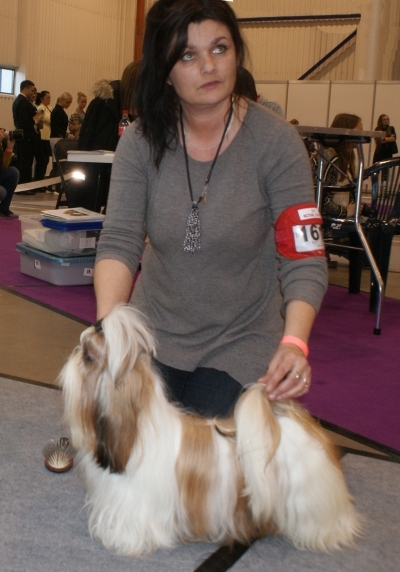 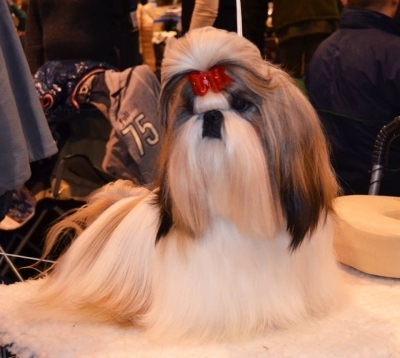 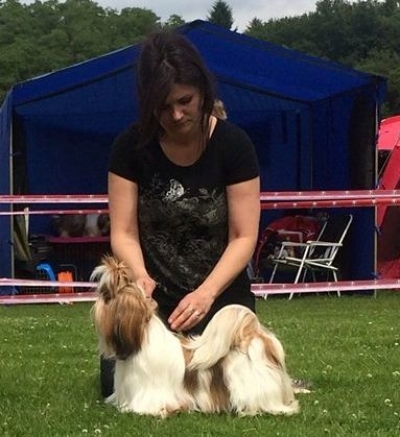 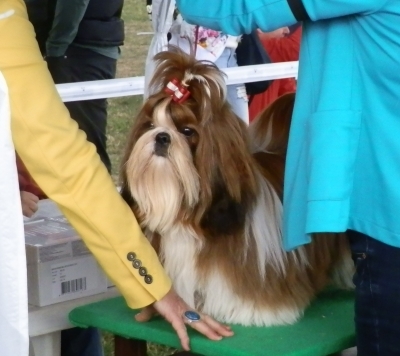 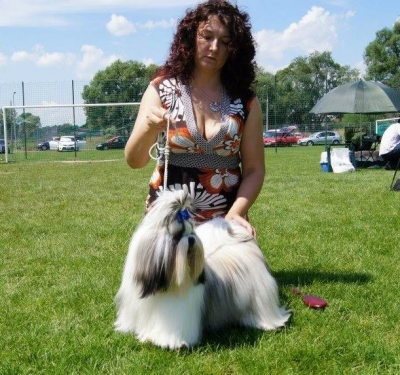 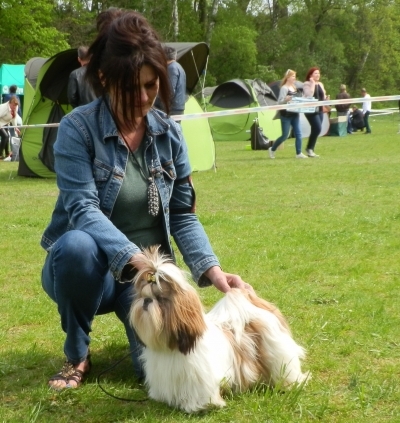 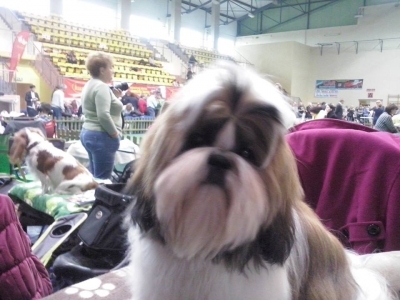 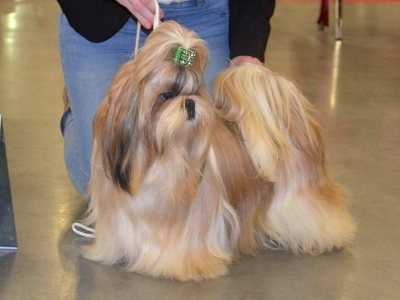 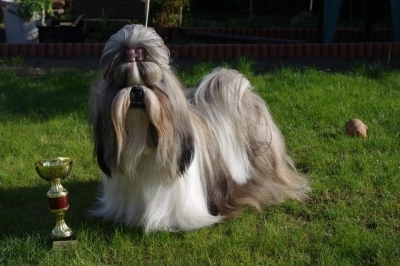 At Shih tzu Show he was BOB and Best in Show. 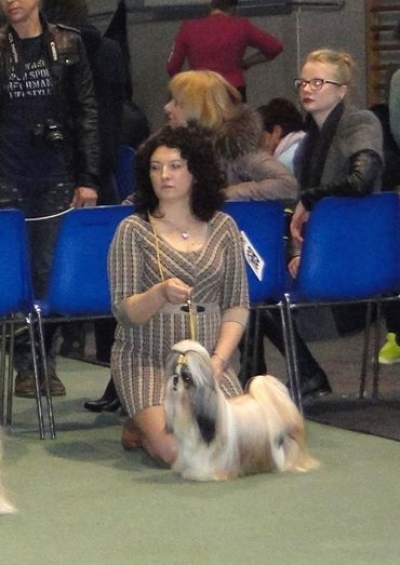 CARAVAGGIO Ad Acte in junior class got CAJC, BOB Junior. 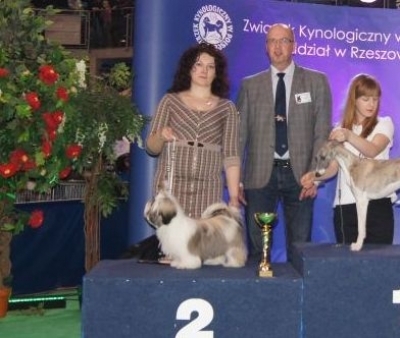 "CARI" finished his junior championship of Poland. 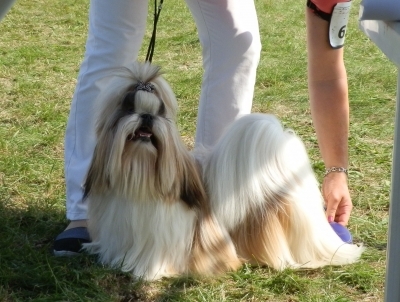 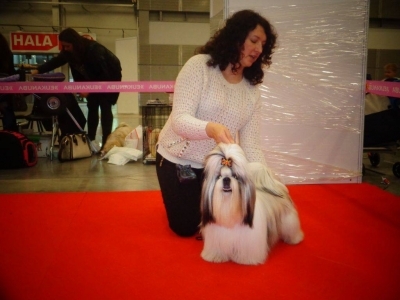 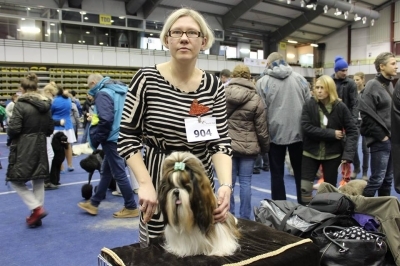 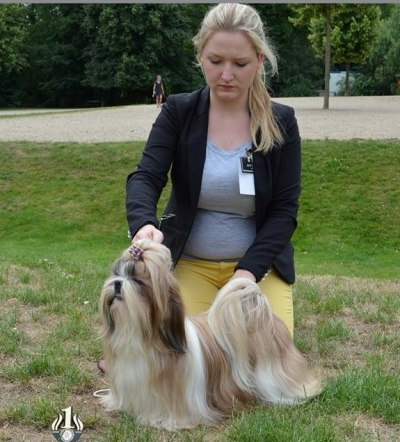 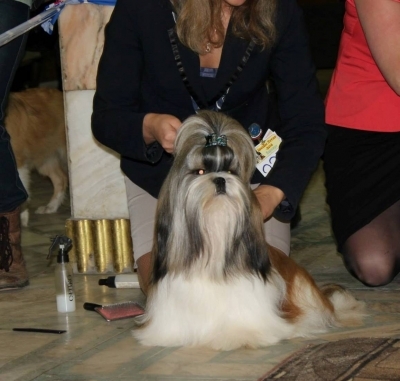 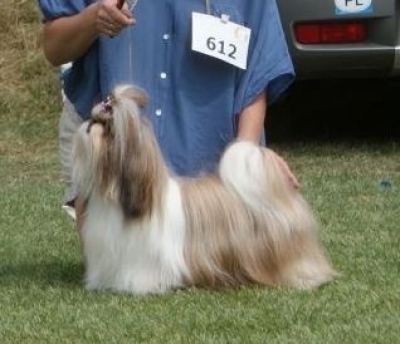 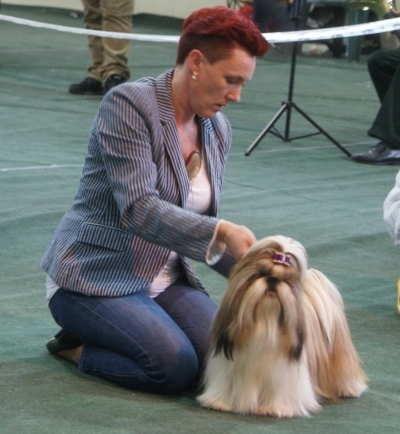 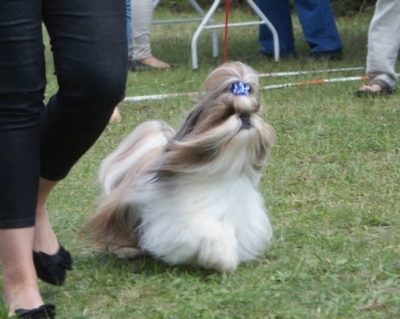 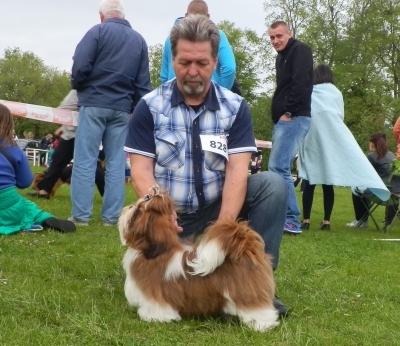 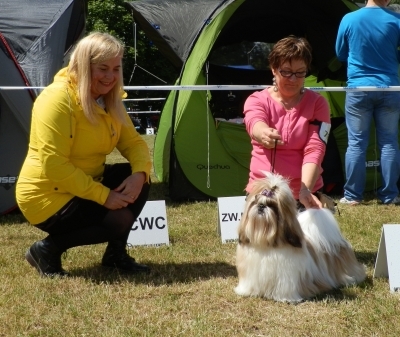 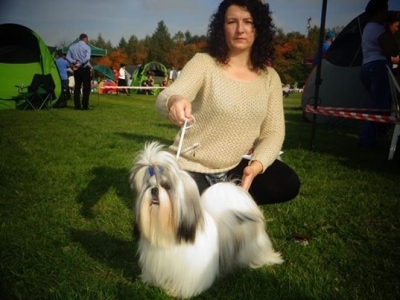 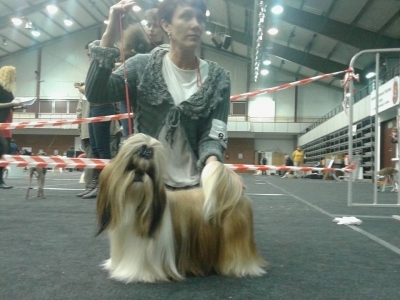 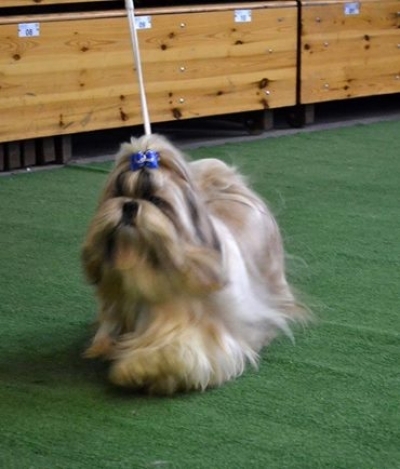 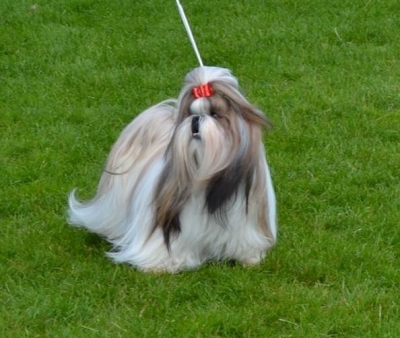 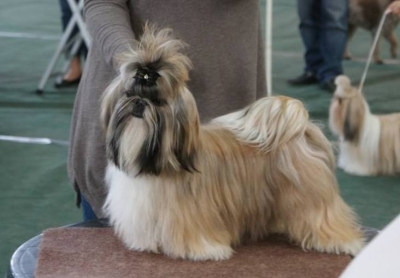 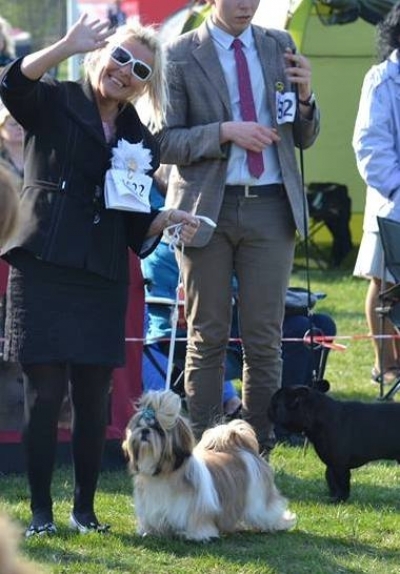 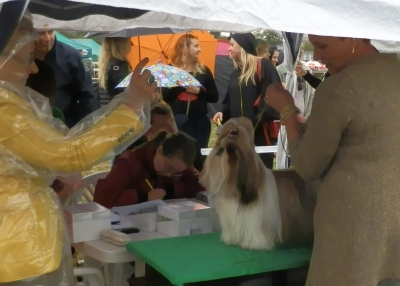 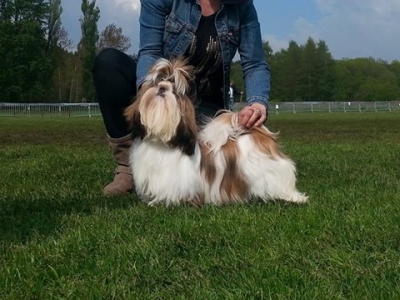 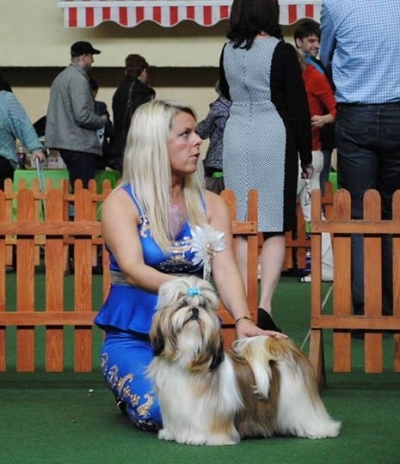 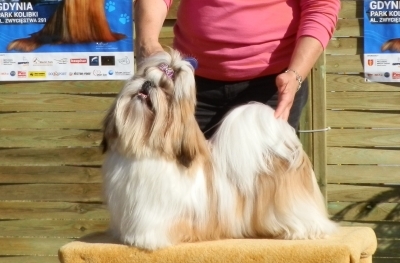 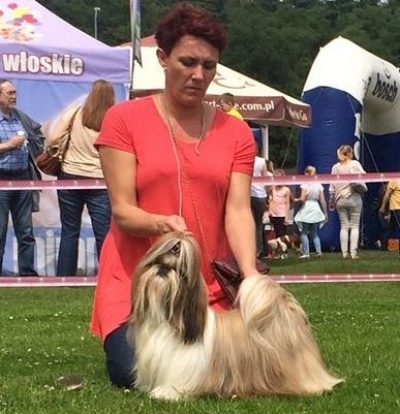 Our beautiful "OLAF" - Shih-Bi-Chow's High Flasing Point won CAJC and BOB Junior. 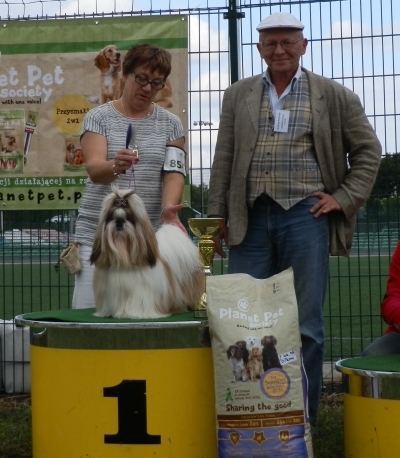 He finished his junior championship of Poland. 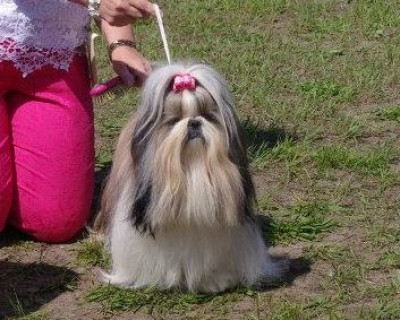 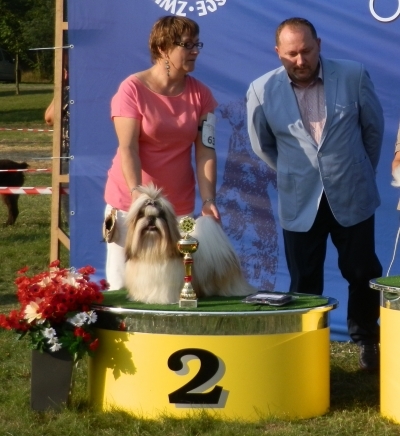 Mojito won also title "the Best Dog of Branch Torun"
Hana Ad Acte was CAC,BOB and obtained her Estonian championship. 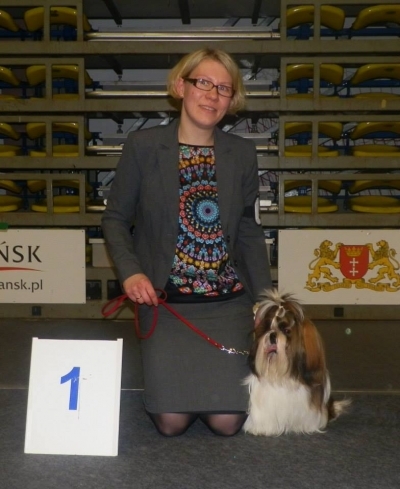 Now Hana is RUS,PL,LT, LV, EST and BALTIC Champion. 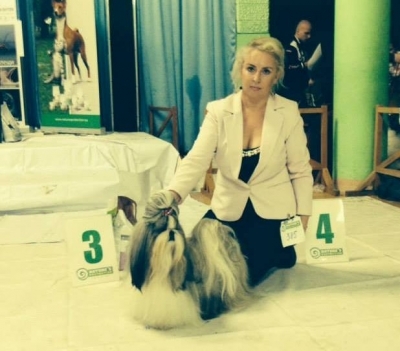 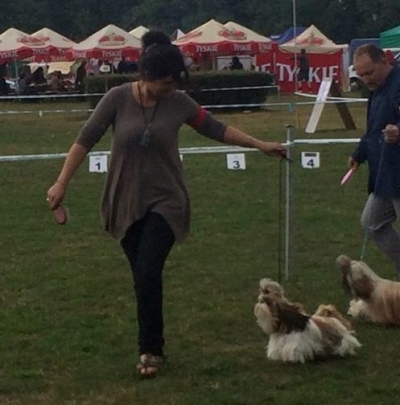 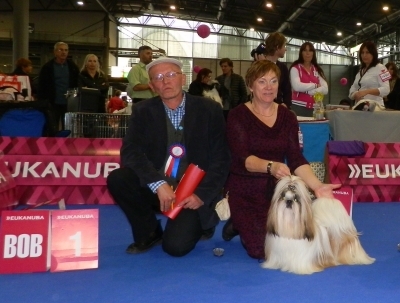 URANIA Ad Acte got CAC, BOS and closed her Polish Championship. 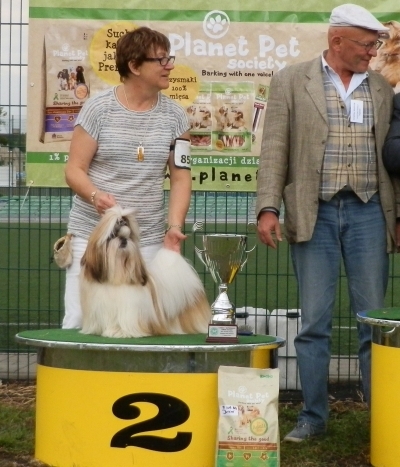 MOJITO Ad Acte in junior class won CAJC, BOB Junior, BOB. 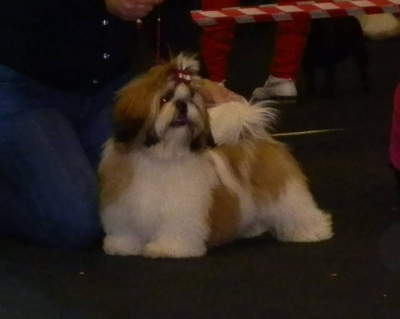 Shih-Bi-Chow's High Flashing Point "OLAF" in puppy class - very promising 1, Best Puppy. 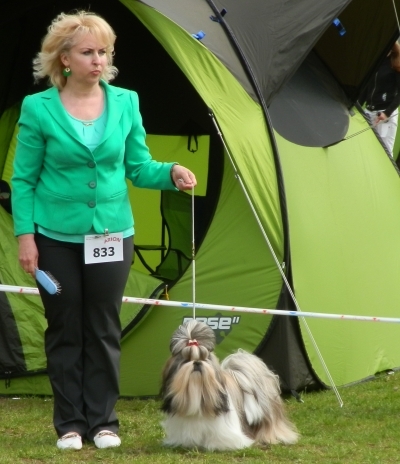 REWOLTA Ad Acte got CAC and Res.CACIB = CACIB. 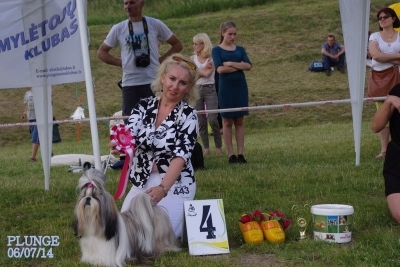 She finished her Interchampionship , gained Championship of Latvia and Baltic Championship. 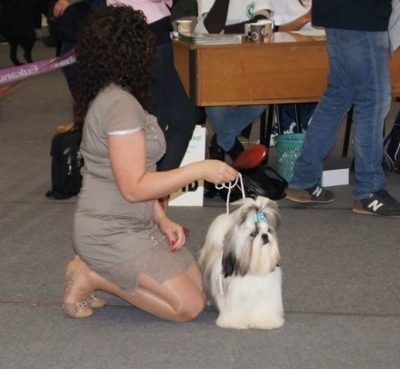 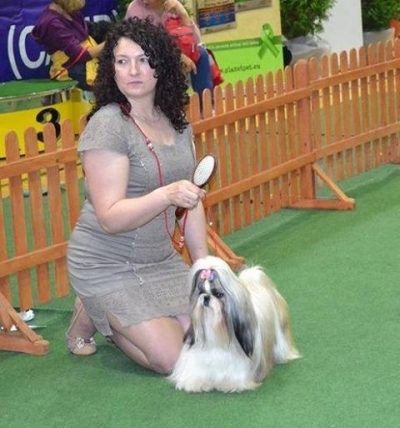 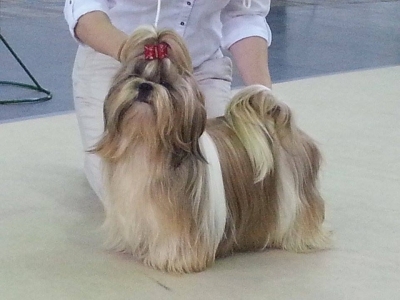 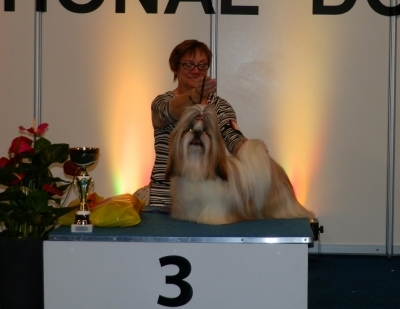 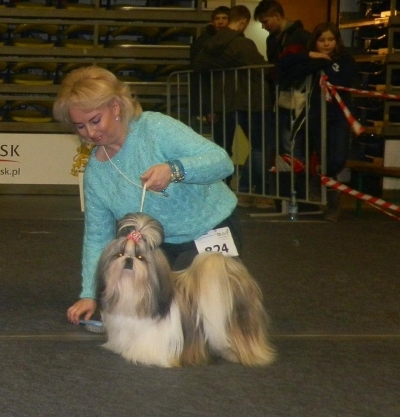 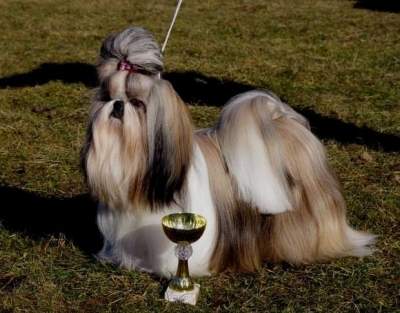 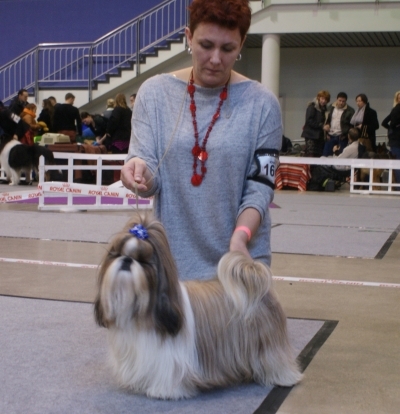 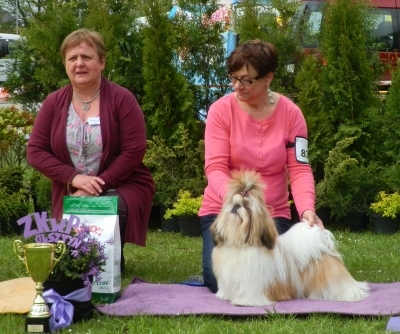 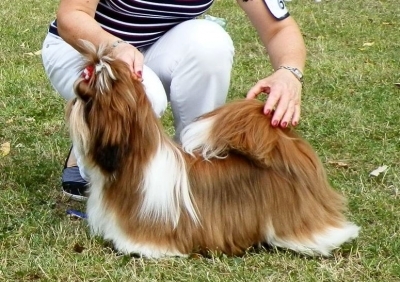 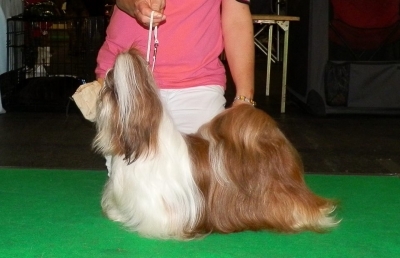 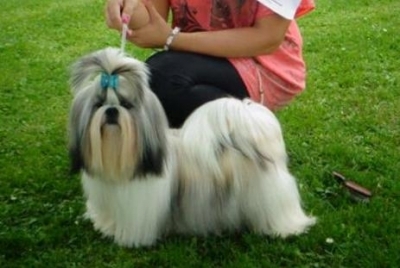 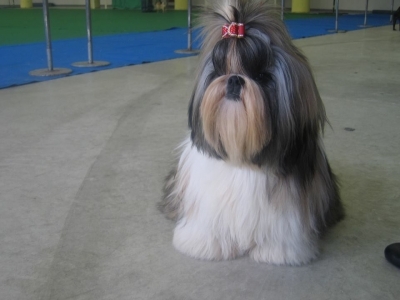 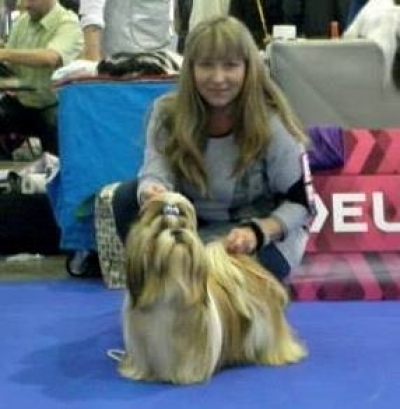 SAMBA Ad Acte got CAC and finished her championship of Poland. 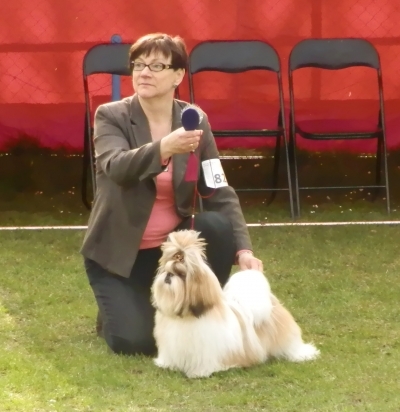 Today was a wonderful day for Ad Acte Kennel. 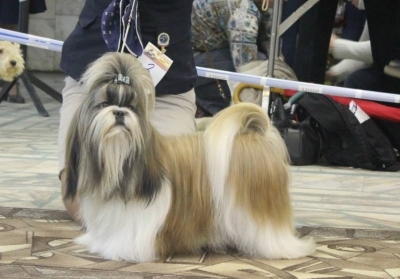 Our beloved "Olaf " Shih-Bi-Chow High Flashing Point has had his outstanding debut, receiving BOB Puppy and reaching final six in BIS Puppy . 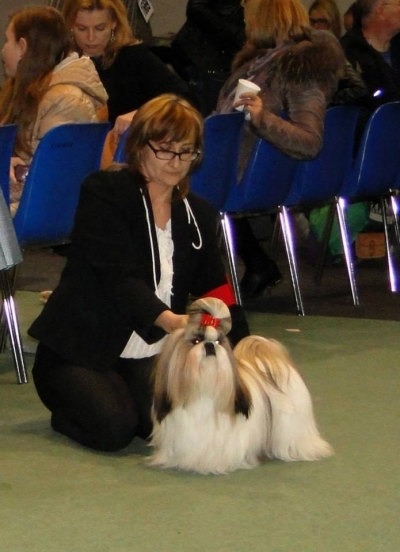 Many thanks to Violetta Hart for such a wonderful boy. 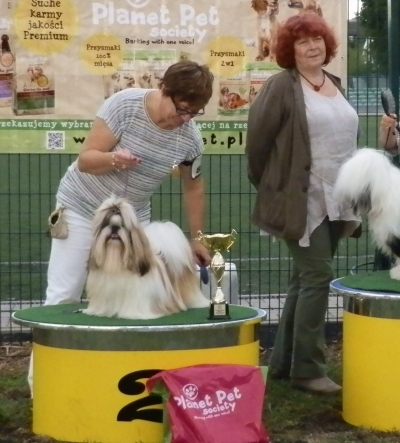 Apart from this great success, our dearest Mojito contending in Junior Class, has got CAJC, BOB Junior, Best Male, BOS and BIS JUNIOR II . 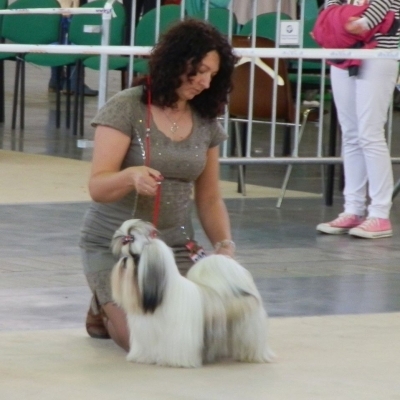 His sister Martini Ad Acte in junior class has got CAJC. 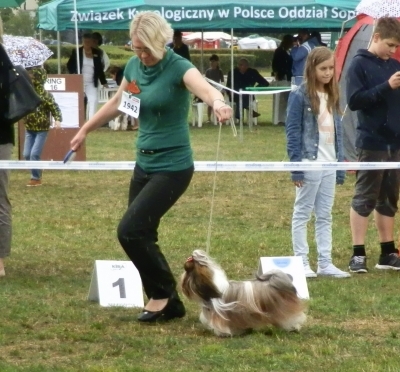 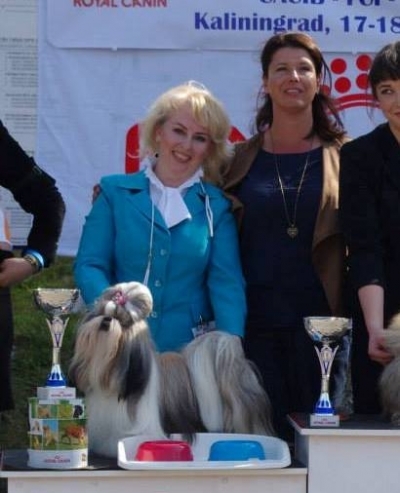 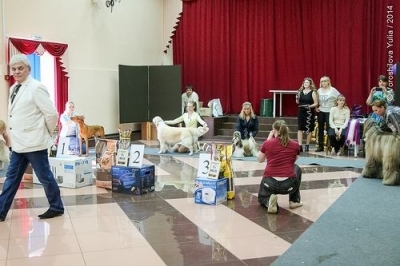 Hana Ad Acte, owned by Svetlana and Igor Kowalchuk from Kalingrad, has ended the competition with CAC, BOB and finished the Championship of Poland. 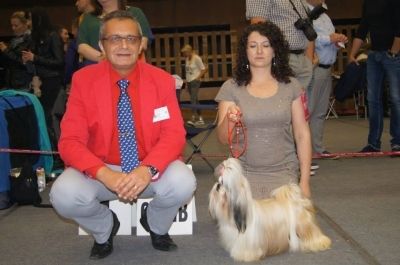 CAC Championship Malta judge: Zoran Brankovich. 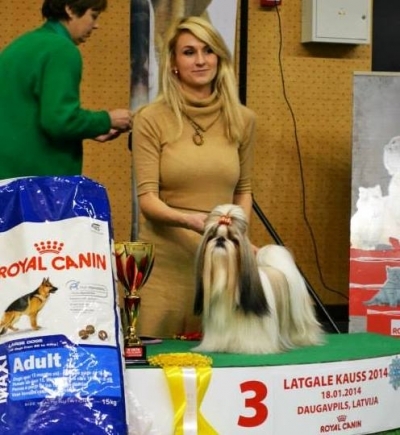 Congratulations to her owners Svetlana and Igor Kovalchuk from Russia !!! 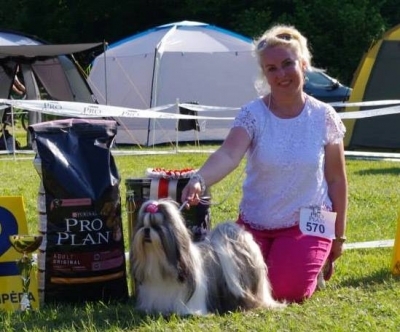 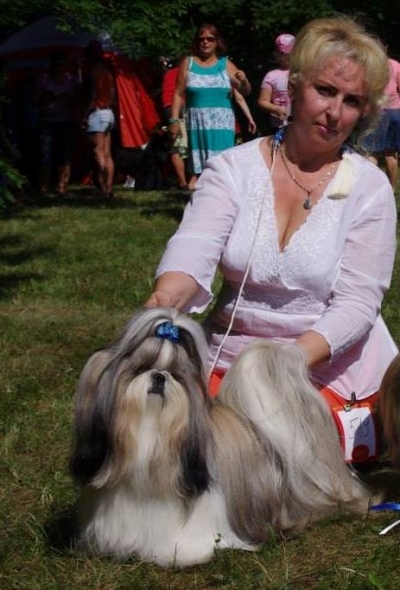 Congratulations to her owner Diana Olsevskaya from Lithuania!